Many thanks for visiting my web site. We are often on assignment or on a painting trip but will try to reply to your messages as soon as possible! Studio visits also may be arranged in Vancouver and Richmond Hill - Ontario, Canada through out the year. I look forward to hear from you. News and blog posts about recent works, workshops, events, presentations, expeditions and exhibitions by Canadian artist David McEown. 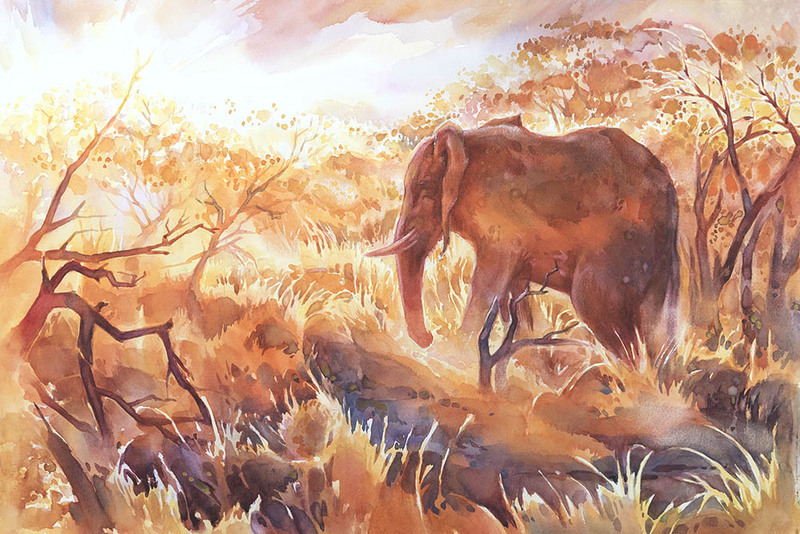 In July I had the opportunity to paint and experience a slice of Africa. It will take awhile to process the immense wildlife diversity and the richness in possible compositions for larger paintings. 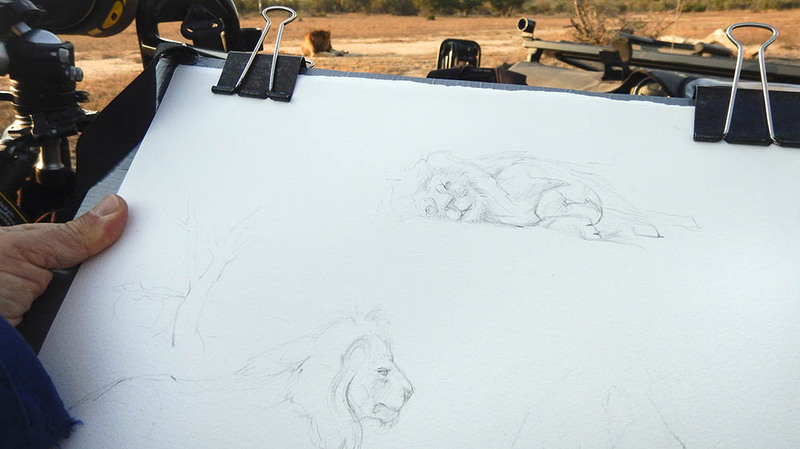 It was very moving to be in the presence of rhinos, elephants and lions to name just a few animals plus have time to sketch and ponder their behaviour , power and precarious existence in this age of habitat loss and the threat of poaching. I am in gratitude for the parks , reserves , photo safaris and conservation groups that are working so hard and with often great sacrifice to protect these amazing animals and habitats. Many thanks to Pangolin Photo Safaris , Jacki’s House at Sabi Sand , Madikwe Safari Lodge and our dear friends in South Africa for guiding and teaching us so much about Africa! 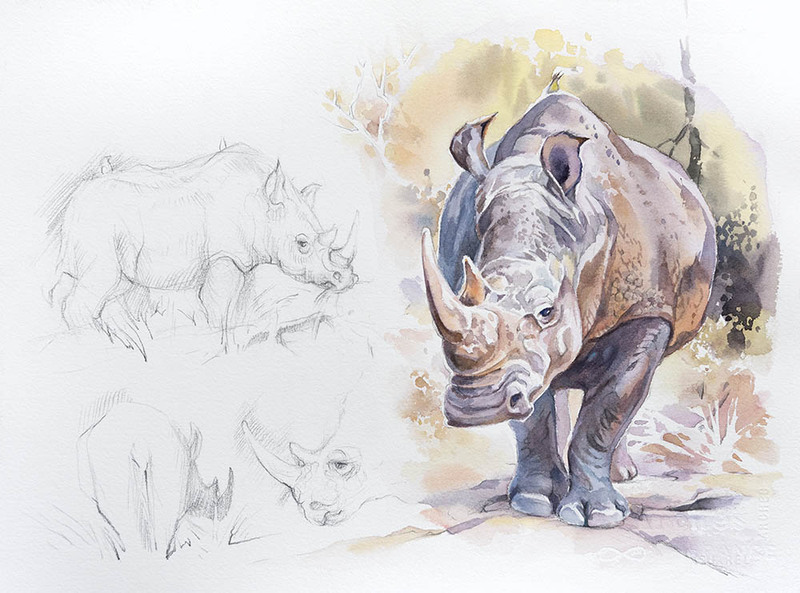 Posted here are a few drawings and paintings plus a 5 minute video of encounters with the wildlife of Chobe National Park in Botswana, as well as Midikwe and Sabi Sand Game reserves plus Kruger National Park in South Africa . (Also with a side trip to Victoria falls in Zimbabwe) More paintings from Africa will be posted on the Africa page of this website.